The center of GBC's Sunday and midweek services is the clear and precise teaching of the Word of God. Pastor Denny Neal has faithfully preached, counseled, and shepherded our congregation since 1985. GBC has a conservative, Biblically based music program that is intended to honor and worship our Lord and Savior. Special music is provided in all services, and our church choir sings in all Sunday services as well as special meetings. GBC has a Sunday School class just for you! 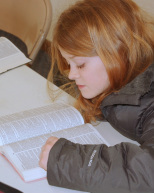 Every Sunday we provide Bible classes for ALL ages. We also have classes for certain groups or topics, such as a women's class, married couples' class, and various specific subject classes. 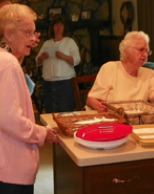 Our retirees stay very busy going on various trips throughout the year, as well as getting together several times each year for good food and fellowship. Senior High and Junior High teens participate each Wednesday night in Christians in Training (CIT): a time for teaching, training, preaching, and dealing with everyday living for today's teenagers, as taught by the Bible. Each week ends with a fun activity. 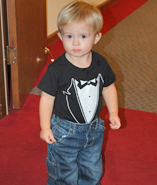 Preschool children, ages 3-6, have children's church each Sunday during the morning worship service, and elementary children, grades 1-6, have Junior Church. These ministries teach the Bible at the level of these age groups and also include singing, missionary stories, puppets, and games. Infant and toddler nursery care is provided during all regular and special services. An adult interpreter for the deaf is available for all regular and special services.